As many readers know, Schwab and the CCSA have a direct link to the Ross Valley Charter. The Schwab Foundation, is headed by RVC Board member and Fairfax resident, Kristi Kimball, who also sits on the CCSA board. 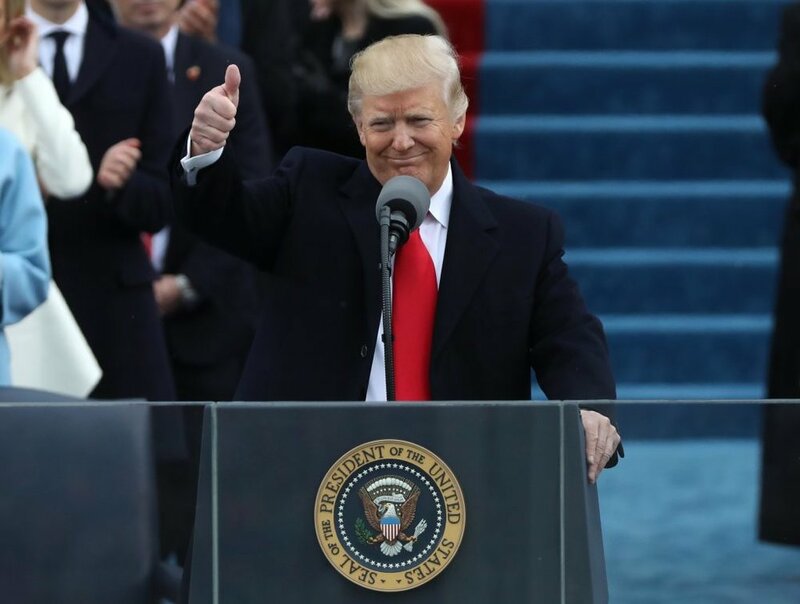 According to Fortune, Schwab was one of the largest donors to Donald Trump’s inauguration, giving $1 million. It is unclear if the donation came from the Schwab Foundation, or Charles Schwab himself (perhaps this could be a question for the next RVC board meeting?). This newly discovered Trump connection adds to what we already know about RVC and its connections to right-wing groups and billionaire “reformers” (click here for a refresher and here to read the California Charter Schools Association’s congratulations to Betsy DeVos). How can RVC continue to claim to care so much about disadvantaged children while maintaining such close links to the President and his top funders? How can they claim to be motivated to serve underserved kids when they had a proven record of discrimination against them? We ask our friends and neighbors, do we really want our excellent public schools disrupted and privatized by billionaire-backed and right-wing groups? We say no, and invite you to STAND with us for our truly public, neighborhood schools. We hear over and over again from RVC’s taxpayer-funded marketing materials and public statements, that they exist to provide a better education to English Language Learners (ELL), and low-income kids (FRL) than that which those kids could get in our public schools. In addition to being insulting to their colleagues in the Ross Valley School District (RVSD), and other districts (read how San Rafael fought off a charter with similar, dubious intentions), they also are papering over their history of discrimination and poor outcomes teaching English Language Arts (ELA) to ALL kids. This is the same group which maintained a discriminatory program (read the investigation report here), then had the lowest scores in the RVSD for teaching English, and now has very close ties to the Trump administration, which is anything but a champion for those (or any?) kids. MAP's Language Arts scores were the lowest in the RVSD. 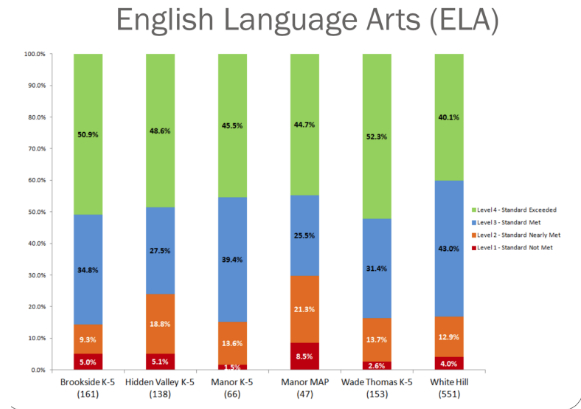 According to the RVSD’s November 2015 report on standardized tests, 85% of Manor "K-5" students met or exceeded the state standards with ten ELL kids, while only 70% of MAP’s 3-5th grade students met or exceeded standards with only one ELL. Clearly, Manor “K-5” was doing a much better job teaching language skills to all students, including ELL students. Tune in for Part 2, in which RVC's Trump connection will be explained. As parents in the Ross Valley struggle over the impending opening of the Ross Valley Charter (RVC) and its displacement of White Hill’s sixth graders, the NAACP has doubled down on its 2016 call for a charter school moratorium (here). According to Education Professor Dr. Julian Vasquez-Heilig (here), “The report goes further than 2016 resolution in calling for a permanent and rigorous local role in authorizing and renewing charter schools. It would ‘empower those districts to reject applications that do not meet standards, and establish policies for serious and consistent oversight.’” Can you imagine where our community might be today if the decisions of our elected Ross Valley School District and Marin County Board of Education Trustees had been honored? Dr. Vasquez-Heilig goes on, “The report also goes beyond the moratorium by proposing the elimination of for-profit charter schools. It states that ‘no federal, state, or local taxpayer dollars should be used to fund for-profit charter schools, nor should public funding be sent from nonprofit charters to for-profit charter management companies.’” Though RVC is a nonprofit corporation, its finances are managed by a for-profit charter management company, EdTec. We STAND for quality, locally-governed public education for all. We STAND with the NAACP. The State Board of Education (SBE) sent a generic reply to our recent emails reiterating the charter school's final approval. This is not unexpected as the they have rubber stamped their phase of approval. The appointed SBE members were included in our list of recipients as a courtesy, and to raise their awareness of the opposition to this school. However, it is the elected (and therefore accountable) State Superintendent of Schools, Tom Torlakson, and the California Department of Education (CDE) who are responsible for the final approval, which will include a site visit to White Hill prior to opening. Regardless of their political position on charters, they are very sensitive to wasteful spending of taxpayer money on schools that are not financially viable (here). They may not want this one on their record, and continued public pressure should help ensure the review will be thorough. The approved petition stated the charter school would enroll 220 children. This is critical to their financial viability. Enrollment numbers obtained from several recent public records act requests document that they are nowhere near that number. Ross Valley Charter reported 120 enrollees—if you believe that kids will be commuting daily from Nevada City and the Modesto area—and the enrollment has been steadily declining since December. Click here for detailed information on their enrollment as of March 26th. Based on this information from Sharon Sagar, 32 children were "admitted" in the "lottery" on March 8th, and not one of them accepted the offer to attend the Prop 39 charter school. Moreover, on April 28th, the charter school refused to respond to the last request for enrollment, stating "they do not have the reports containing the information you requested" (here). Are we to believe that the charter school does not know who is enrolled in their school less than 4 months before it is opening? Contextually, there are 104 in district enrollees in the 120 reported. That is 20% less than the number of children who were in MAP when it was a district program at Manor. Based on the lack of enrollment, this worthy fight is not over. They are approximately 100 kids short of being financially viable and meeting the requirements of the charter petition that was approved by the SBE. We will continue to ask Tom Torlakson and the CDE to do their job and review the charter school's enrollment on August 10, before allowing them to open. We must keep up the pressure. Please continue sharing this letter and encouraging your friends and neighbors to speak out. Remember to follow us on twitter at https://twitter.com/STANDpublic to stay up to date with pop up locations, action items and breaking news. The turmoil in our community is being caused by one thing, and it's not STAND. It's not the appearance of signs and magnets. It's not even the existence of a charter school. The upheaval in our community is the direct result of the charter leadership's use of Proposition 39, a law allowing the hostile takeover of our children's school buildings. Using this law, which was never meant for small, well-performing districts like ours, the charter is commandeering the 6th grade building at White Hill Middle School, displacing the entire District's 6th grade and eliminating the “soft landing” into middle school that a separate space provided. Charter leadership has spun the tale that they were "forced" to invoke Prop 39 because the District wouldn't continue negotiating with them for the rental of Red Hill. However, as a community member just reminded us, it is documented here that, in fact, they attempted to shoot that missile at the District long before those negotiations even started. The charter's narrative of victimization at the hands of the District could not be farther from the truth. In October 2014, around the same time they submitted their first charter petition, the leadership filed a Prop 39 demand for facilities, specifically a large chunk of Manor School. The filing demanded seven classrooms with the intention to expand to nine over the following two years. The charter’s previous incarnation as the Multi-Age Program (MAP) occupied six classrooms at the time. This Prop 39 expansion would have drastically reduced the space for the rest of the students on the Manor campus and would almost certainly have caused some neighborhood children to be moved to other schools. The maneuver occurred just a few months after MAP leaders decided it was a "complete waste of time" to work out the inequities at Manor and keep MAP as a program of choice within the District (here). MAP went rogue and became a charter to avoid District oversight. Now we can plainly see how they simultaneously began a long, drawn-out battle to take over District facilities using Prop 39. Charter leadership has repeatedly stated they do not wish to displace District students, yet one of their first acts as a newly proposed charter school was an attempt to forcibly expand at Manor using Prop 39, which would have displaced students who were not in the charter from their neighborhood school. The charter claims to be using Prop 39 only as a last resort. That is patently false. In light of Ross Valley Charter's March 1, 2017 response (here) to the Ross Valley School District’s Prop 39 offer of classrooms at White Hill (here), we want to remind the community about the charter’s legal and financial relationship with the the California Charter Schools Association (CCSA). The January 23, 2017 letter (link here) from Superintendent Dr. Rick Bagley to the charter was a response to the charter’s repeated requests for mediation. The letter revealed why Dr. Bagley and our elected trustees are not interested in sitting down with the charter to discuss these matters over a cup of coffee, as many in the community, including San Anselmo Town Council Member John Wright (link here), have urged. The charter's CFO and Treasurer, Conn Hickey, signed a $40,000 interest-free loan commitment (link here) with CCSA to finance the charter’s litigation against our school district (IJ article link here). The purpose: "To prevent RVSD from rejecting [RVC's] attendance projection in its request for facilities under Proposition 39 and for no other purpose." CCSA is a pro-charter school lobbying group, funded to the tune of over $20 million a year (link here). These powerful outside interests are fueling conflict in our local community. Go here and read more about the billionaires who fund CCSA and other groups seeking to privatize public education. The loan also states that the charter, CCSA, and Young, Minney & Corr (the charter’s attorneys) have “formed a coalition for a common purpose.” The document specifies that CCSA must agree to the terms of any settlement reached between the charter and our public school district. If the CCSA is not satisfied with terms the charter agrees to, the charter may be subject to “immediate or accelerated repayment of the loan,” with a 10% "interest" penalty. Thus, any potential settlement’s terms will be controlled by the agendas of outside interest groups seeking to set legal precedent, not trying to come to the table in good faith to heal our community. This loan will be paid back with our tax dollars received by the charter through state and federal funds. If you would like to read more about a handful of the numerous CCSA-backed lawsuits filed against public school districts on behalf of charters, click here, here and here. If you believe that Ross Valley Schools should have transparent government by our locally elected and accountable leaders, not powerful outside interests, STAND with us. STAND for our teachers and children in the face of this deep-pocketed, outside group. Did you say ‘negative message’? Respectfully, we disagree. STAND! with your awesome neighborhood school- be it Brookside, Hidden Valley, Manor, Wade Thomas or White Hill. STAND with your exceptional teachers. STAND proudly with your friends. Our children are excited to feel the energy being created around a sense of pride in their community. Proud and happy looks great on them. We were invited to a competition, and the school spirit is rising! Our second message is clearly a matter of policy, not a judgment of the people who support or disagree with the policy itself. Most of us speak daily about issues regarding our government. There is no reason to abandon our commitment to honest free speech on this particular and relevant topic. Among the many principles with which we STAND, the First Amendment is near the top of the list. Our current debate represents an opportunity for each of us to speak with our children about educational policy and perspectives. We might agree or disagree with, or be curious about, a particular policy position. STAND believes in the common good. We believe that children are able to understand the concept that supporting truly public schools--or not-- and explicitly opposing charter schools--or not-- is a point of view on policy, not individuals. Let’s break it down: ‘Go Public!’ is a broad-based statement of support for our truly public schools. ‘Not Charter’ clarifies that STAND does not recognize charter schools as truly public. They have little transparency or local accountability, and are often for profit, or indebted to some heavy-muscle lobbying groups. Proponents of charter schools will say that public vs. charter is a difference without a distinction. Respectfully, and strongly, we disagree. The vocalization of this disagreement is a right that each and every one of us can celebrate. Our disagreement is not personal; it is a Civics lesson. Let’s address the concerns expressed by one of Marin County’s four charter schools that STAND signs, which are not yet displayed, are upsetting their children. Parents have the opportunity to explain that our message is no different from one that says ‘Vote Democrat! Not Republican’. Would the President’s child take that party/policy affiliation as an attack on his/her family? Probably not. And if they did, there is no doubt that adults could explain it if they chose to. It is a party/policy position. We must never compromise our First Amendment Right- or our neighbor’s- to take a stand. It is also unfair to make the assumption that the charter school’s children are the only children in the District who are upset. A great many of the District’s students are also upset, angry and hurt from the forthcoming disruption to their schools and teachers. They must be allowed to express their authentic feelings. We cannot hide reality from them, nor should we. We, as parents, can explain to them that the charter school chose to exercise Prop 39 to make this happen, and that no matter what, we will make it work. We can explain that the charter’s purpose was not to harm them. The charter simply took a policy position that exercising Prop 39 was a good idea. It is up to us to explain that this was not personal. We are looking at two sides of the same coin. If your child has expressed some distress, we are confident you have the tools to assure them that not everyone supports the same causes in our community. Regardless of your personal position on this issue, we continue to STAND for respectful expression and conversation. STAND itself is a diverse group of individual community members. We recognize that not every STAND supporter will adhere to our mission statement. However, we have been heartened by the support and feeling of community which STAND has inspired. So while we are unhappy that any child in the district is sad or angry or concerned, we want to be clear that all of our children are experiencing these feelings as a direct result of the charter invoking Prop 39. Our ultimate message is a warm invitation to the charter students and teachers to return to Ross Valley Public Schools. We want to do what is best for 100% of the children in our District. Our goal? Everyone send your children to our superb, truly public schools. We welcome you with open arms. With this being stated, we again ask RVC to rescind their Prop 39 facilities request. And if you would like to sign or view our petition in support of this request, it is available below. Stating a policy preference, tacitly or openly, is an honored and protected right in this amazing nation. This is not the time for silence. Not now. Not ever. Why would a supporter of Ross Valley Schools go to a charter Information Night? In the last few days, charter proponents have asked why members of the Families & Friends of Ross Valley Schools attended the January 12 Information Night for the proposed Ross Valley Charter, held at the Ross Valley School District property at Deer Park. On one level, there is a simple reason: Information Nights are one of the few ways we in the community can learn how the proposed charter plans to use our tax dollars. The school will be funded with each enrolled student's "ADA" dollars: about $8000 per child per year. That's approximately $1.5mm annually based on the charter's intended enrollment of 189 students. There is no public oversight of that money, as the charter board is self-appointed. The proposed school was authorized by a state board, which is also appointed, not elected. So how do we, as taxpayers, have representation? Especially because we have no vote, we view it as necessary to learn as much as possible. The evening was billed as an "Information Night." We were under the impression that all were welcome to attend, ask questions and get answers. Every taxpayer in the district, regardless of age of children, or choice of school, should be asking: Is this charter a good steward of our public dollars? We regularly ask the same question of the staff and board of RVSD. There, at least, we can attend regular meetings, and vote for the board. At the Information Night, we did have the opportunity to learn. A few of us attended part, or all, of the formal presentation. Some of us stayed outside. And still, we learned a lot. We engaged several dedicated charter supporters in conversation. We questioned. We listened. We disagreed Sometimes, we agreed. “We” means all of us: charter and district school supporters alike. It was a challenge, and at moments awkward, but we made some progress toward understanding each other's concerns and passions. It was a circle of dialogue, a valuable moment, and an important reminder: We are one community. We appreciate the question of reciprocity: Do charter supporters get to attend events for district schools? By all means, yes! In fact, charter supporters have been well represented at recent public events held at public venues. Recent examples: RVSD Board Meetings. Manor’s Expeditionary Learning information session. The Brookside Parents’ Association meeting. To every member of our community, we say: Please come to all future public meetings at public venues. Keep learning and connecting. Keep the dialogue respectful. We shall do the same, and hope that this will build better understanding across our community. This is a complex situation, and there are other reasons we attended the charter Information Night. First, we want to make sure the prospective families who attend these sessions have the balanced opportunity to consider the truly public options available to elementary-school children in our district. The project-based Expeditionary Learning program goes live at Manor next year. Brookside, Hidden Valley, and Wade Thomas offer a balance of proven traditional and progressive, common core-inspired curriculum. The Readers' and Writers' Workshops are especially enriching. The YES Foundation makes exceptional art, music, theater, poetry, library, and special events available to our elementary school kids, with even more opportunities - especially in STEAM fields - available for middle school students at White Hill. How did we present this information at the Information Night? At most, with a one-page welcome letter. The handful of us who attended welcomed guests and offered them directions to the meeting room when they asked where to go. We were not forming a line. There was no line: Not inside the meeting room, nor outside. Supporters of the Stand campaign were respectful in our attendance, whether in the meeting or in the courtyard. Second, we want to show our support for every child in the Ross Valley School District. The charter only expects to serve a very small percentage of our district children. An estimated 1800+ students will attend RVSD schools. The vast majority of students will not be at RVC. We want the children who don’t attend the charter, for any reason, to know their education matters to our community. We want our students to be confident that they will get a superb education. We want them to know that they, too, are important. The Families & Friends of Ross Valley Schools embrace passionately the principle that all children deserve quality, free, public education. In closing, we found this Information Night to be just that: informative. A good start to a necessary dialogue. We thank the charter members who engaged with us in a positive and productive conversation. We all have more to learn, and we look forward to more opportunities to learn together. We acknowledge that people sometimes disagree, strongly, and we ask that our entire community commits to doing so respectfully. We are one community, and while we may have different opinions and goals, we are still neighbors, teammates, and even friends. We all have room for improvement here. Let’s start now. We invite anyone who wants to learn more about the Families & Friends of Ross Valley Schools to check out our new Facebook page and website: www.standwithrossvalleyschools.org. All members of the community are welcome. These meetings are open to all.